Scleroderma is a connective tissue disorder characterized by increased collagen production leading to the thickening and hardening of skin and other organs. It comprises of a spectrum ranging from localized scleroderma (LS) at one end to the systemic sclerosis (SSc) with internal organ involvement, at the other extreme. 1 Gastrointestinal tract involvement in SSc is seen in almost 90% of the patients in which Esophagus is the most frequently affected part. These patients classically have esophageal dysmotility which manifests as a reduced lower esophageal sphincter pressure (LESP) and loss of distal esophageal body peristalsis. 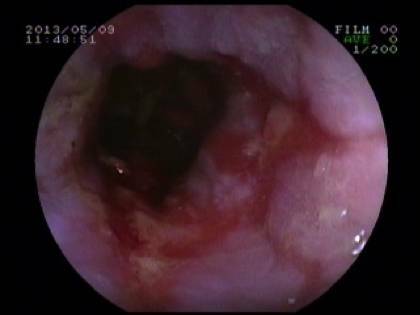 As a result of incompetent LES, SSc patients are complicated by erosive esophagitis, Barrett’s esophagus and adenocarcinoma of esophagus. Localized scleroderma is also called as Morphea. It is characterized by one or more indurated skin plaques with occasional involvement of subjacent muscles but sparing the internal organs. 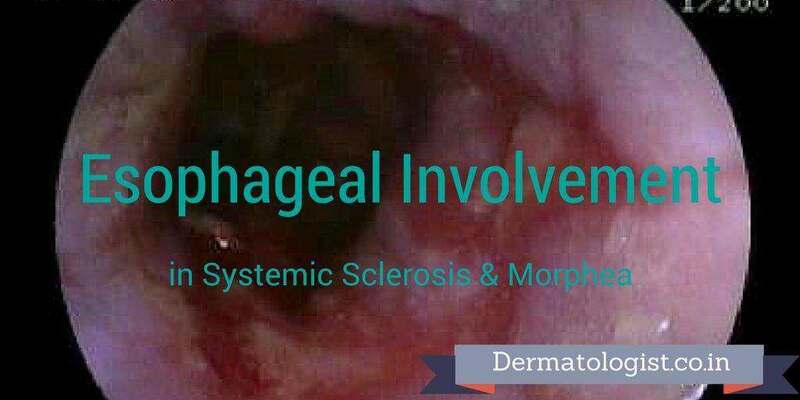 2 The literature regarding the esophageal involvement in morphea is very scarce. With these things in mind, we carried out a prospective study involving 56 patients of SSc and 31 patients of morphea (Probably the biggest series on morphea to study the all aspects of esophagus viz., clinical, endoscopy, manometry and pH-metry) to investigate their esophageal involvement by clinical, endoscopy, manometry and 24-hour pH monitoring. Title: Assessment of esophageal involvement in systemic sclerosis and morphea (localized scleroderma) by clinical, endoscopic, manometric and pH metric features: A prospective comparative hospital based study. Citation: Arif T, Masood Q, Singh J, Hassan I. Assessment of esophageal involvement in systemic sclerosis and morphea (localized scleroderma) by clinical, endoscopic, manometric and pH metric features: A prospective comparative hospital based study. BMC Gastroenterology 2015; 15:24. On clinical assessment, esophageal symptoms of heartburn and/or acid regurgitation and/or dysphagia were present in 39 cases (69.6%) of SSc which were mild in 22 (39.3%), moderate in 14 (25%), severe in three (5.3%).Regarding morphea, only four patients (7.1%) had esophageal symptoms all of which were mild in severity. On endoscopy, Reflux esophagitis (which was graded by Los Angeles classification for reflux esophagitis) was seen in 17 cases (32.7%) of SSc. In case of morphea, only two cases (7.14%) had reflux esophagitis. Esophageal manometry showed abnormalities in 32 cases (68.1%) of SSc. low LES pressure was seen in 25(53.2%) patients and distal esophageal body dysmotility in 31(66%) patients. Among SSc patients with EMDs, 19(40.4%) had hypoperistalsis and 12 (25.5%) had aperistalsis. Not a single patient in the morphea group revealed any abnormal manometry. On Ambulatory 24-hour pH monitoring, the abnormal gastro-esophageal reflux was seen in 33 (80.5%) patients of SSc. Supine refluxers (15, 45.5%) were the commonest followed by upright (13, 39.4%) and combined refluxers (5, 15.2%).On the contrary, no patient from morphea group showed any such abnormal reflux. This study showed that esophageal involvement is very significant in SSc patients. They should be screened for esophageal involvement by EGD, manometry and 24 hour pH monitoring. 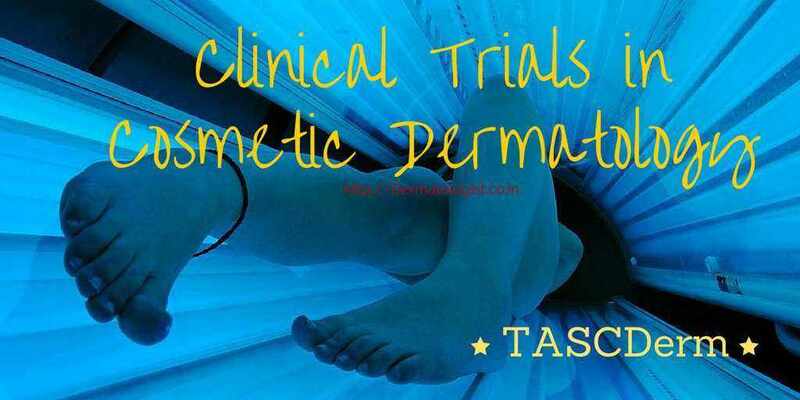 It also revealed that there is no esophageal motility disorder in morphea patients. Hence screening for esophageal involvement in morphea is not justified. 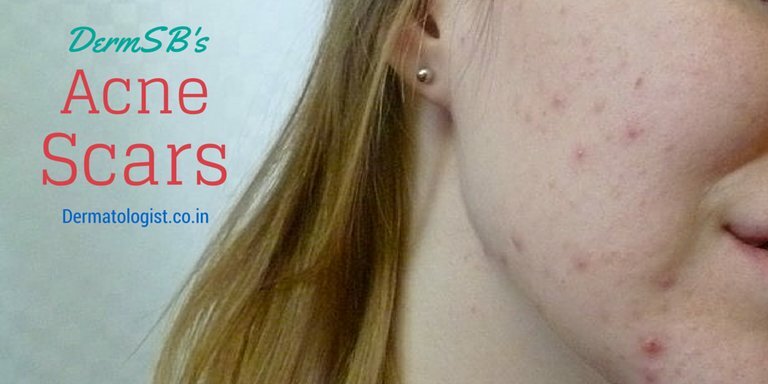 Guest Post by Dr Tasleem Arif MD., Consultant Dermatologist at Government Medical College, Srinagar. Dr Arif is the first author of the article reviewed.